How to Open a Demat and Trading Account in SBI? How to open a demat and trading account in SBI? 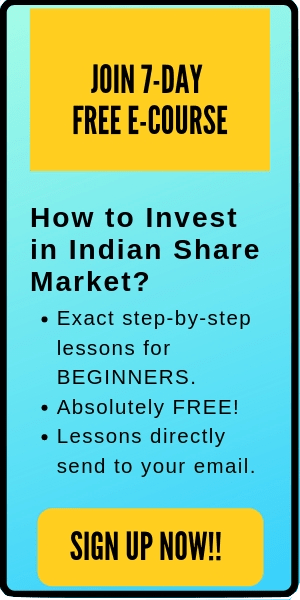 Recently, I received a number of emails asking how to start trading using State Bank of India (SBI) account. Therefore, in this post, I am going to explain the complete procedure required to open your demat and trading account at SBI in a simple & easy way. First of all, I would like to mention that you do not need to open a new SBI saving account if you already have an existing one. You can easily link your existing SBI saving account with the demat and trading account. However, if you do not have an SBI saving account, you can also open a 3-in-1 account i.e. a Saving + Demat + Trading account. All the three accounts will be linked here. If you remember your SBI account number and its IFSC code, then the SBI saving account passbook photocopy is not required. You just have to fill your saving account details in the account opening form. However, its good to keep the photocopy, just in case. If you need help in opening your stock brokerage account, feel free to check out this awesome website- Nifty Brokers. Account opening Charges for SBI Demat & Trading. There are different plans which you can opt for while opening demat & trading accounts at SBI. However, most beginners are inclined towards the basic plan. The basic charges for opening the demat and trading account in SBI is Rs 850 plus GST charges. The GST charge is 18% on the account opening charge. Therefore, the total amount for opening the account is Rs 850 + Rs 153 = Rs 1,003. Note: This amount will be deducted directly from your SBI saving account with which you will be linking your demat and trading account. 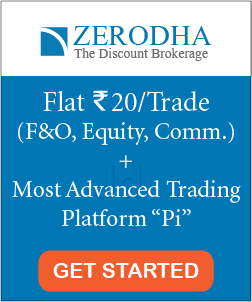 How to Open a Demat and Trading Account at Zerodha? How to Open Demat and Trading Account at 5Paisa? Nevertheless, in the basic plan, SBI is also giving a cash back up to Rs 650 on the brokerage amount if you invest/trade in the first 6 months after opening your demat and trading accounts. For example, let’s say you bought stocks of ITC worth Rs 50,000 within 6 months after opening the account. The brokerage charge for such investment is 0.5% on your investment amount (if you are investing in ‘delivery’ i.e. holding the stocks for more than 1 day). Here, brokerage charge will be 0.5% of Rs 50,000 = Rs 250. SBI will cash back this Rs 250 in your savings account. As the total cash back is up to Rs 650, therefore we can say that the effective account opening charge is (Rs 1,003 – Rs 650) i.e. around Rs 350, including GST Charges. In addition, there are few other account opening plans also available which you can discuss with your SBI local relationship manager. Different plans have different cash backs options, annual maintenance charge rates etc. Visit the local SBI branch and open the accounts there. Fill the online application form available at SBI website. 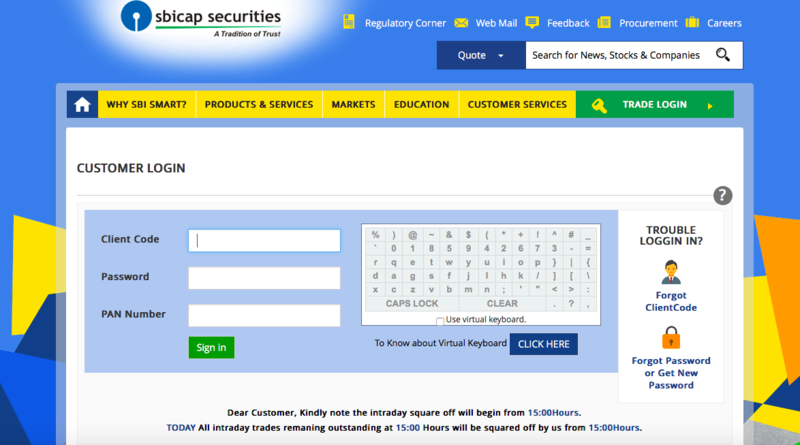 Contact the customer care and they will help to open your demat & trading account. The first way is quite effective, although a little tiresome if the local SBI branch is far from your home. However, if you are able to visit the branch, then you can easily complete all the documentation work within a day. Further, you can get all your doubts cleared regarding brokerage charges, Annual maintenance charge (AMC) etc from the representatives present at the bank. Fill the contact form or call the Toll free number and give your details. They will ask your name, city, pin code, and phone number. The local SBI Relationship manager from your city will call you within 2 working days and walk you through the process. NOTE: You can fill be contact form by navigating on ‘CUSTOMER SERVICE’ tab and clicking on ‘OPEN AN ACCOUNT’ option present on the right side of the screen. Otherwise, you can call the SBI customer executive at 1800-209-9345 and tell your details. When your local relationship manager from your city will call, you can also request him to meet you at your address with the account opening form. Generally, they agree to visit your desired location get the account opening form signed and collect the documents (Photocopy of PAN Card, Aadhar card & Passport size photo). 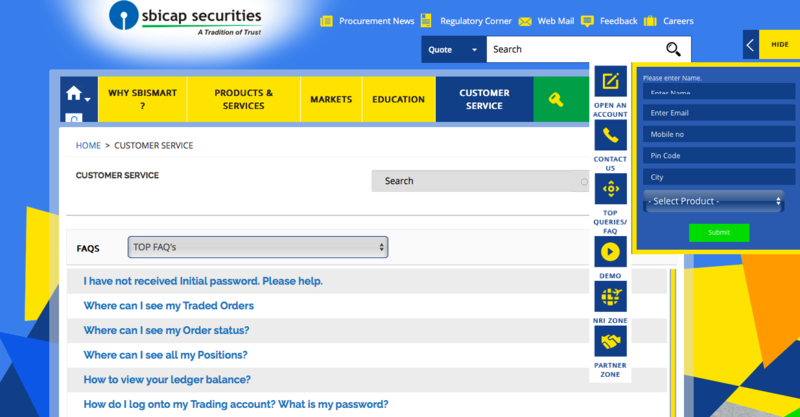 Once you have submitted the account opening form, your account will be activated within 15 days. You will get a mail from SBI smart with your username & password along with instructions for how to start investing/trading in SBI smart. 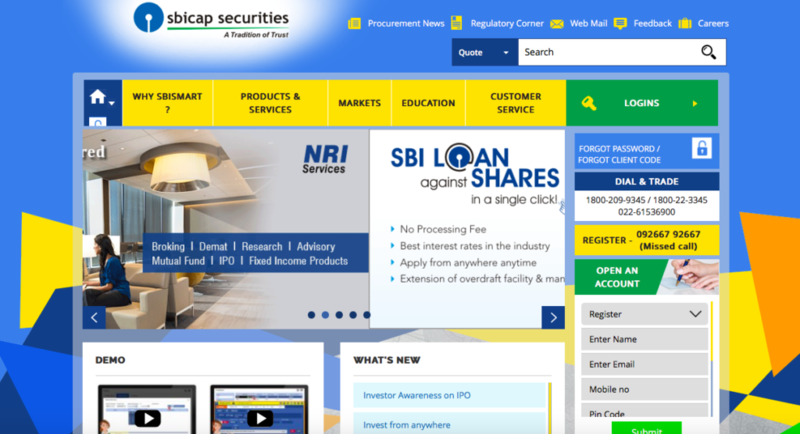 After receiving your login credentials, you can start trading by visiting the SBI Smart website (https://www.sbismart.com) and selecting ‘Trade Login’ present in the drop-down menu on ‘login’. Enter the credentials there and start trading. 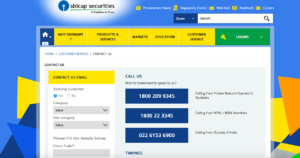 Also read: How to buy a Stock using SBI demat account? That’s all. Isn’t it simple? Yes. Now go and get your SBI demat and trading account opened. I hope this post on ‘How to open a demat and trading account in SBI?’ is useful to the readers. If you have any further doubts, please comment below. I will be happy to help you out.